On Mother’s Day, I just wanted to sleep in. Then my youngest, my four-year-old-daughter, proudly gave me her Mother’s Day gift, a huge piece of construction paper already worn and wrinkled from her handling. It was a portrait she made of me – constructed with everything but the kitchen sink, and possibly a whole bottle’s worth of glue. It was innocent and heartfelt. But I chuckled inside because if this is how she sees me, I’m a mess. “I think it’s beautiful, ” I told her. Like most families, we have seen our share of hard times. These past few years, especially, have left me catching my breath. To be honest, I always thought I’d be more put together as a mom. I always imagined I’d be more fun, more carefree, less frazzled by the chaos of life. I naively believed I could keep up a nice and neat home, all the while raising some wonderful kids – all the while feeling healthy and motivated and patient. But life is so messy (most of it we would never dream of posting on Instagram), and unexpected trials have a way of wearing you down. And yet motherhood takes everything you have, and then some. Yes, I’ve had moments where I have felt strong. But my kids have also seen the inroads of my brokenness. Yet sometimes I think, if we’re not at least a little bit disheveled by motherhood, then have we let it change us enough? 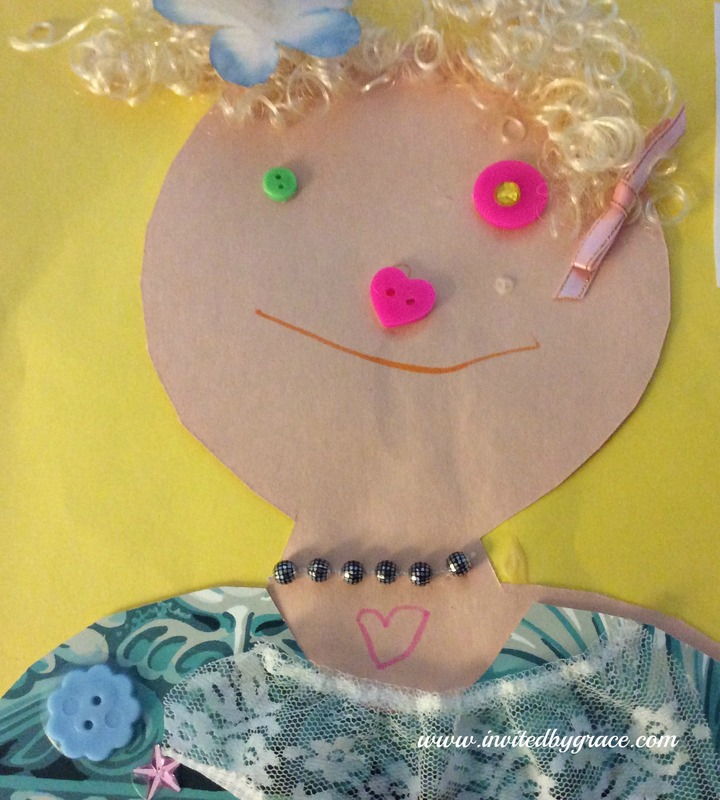 I look again at the portrait my daughter has made of me. Motherhood has changed me. It has left me windblown and ruffled. But she’s got me pegged. Sometimes we moms can become a bit bedraggled and weary- looking. But thank God it isn’t about perfection. It’s about a love that never gives up – through all the holding close and the letting go, falling down and getting up. I look to my nightstand. There’s a squishy, browning, half-peeled banana sitting inches away from me. Even though I didn’t quite get to sleep in this morning, how can I not be thankful? Because somehow in the flurry, there are small moments that just overtake you. I read this post yesterday, but my iPad is misbehaving and I could not comment using it. I loved this whole story… and the pic! Kim, such wise words here. Our almost-teen has stretched our patience too, as he seeks more independence from us. Such a hard, beuatiful, and MESSY time of life for sure! And this line: “If we’re not at least a little disheveled by motherhood, have we truly let it change us enough?” So very true!